Greenheck FumeJet® Roof Exhaust | Air Control Products, Inc.
Why Take Any Risks With a Field Built Exhaust System? If you are currently spending time and resources designing, field building, and assembling roof exhaust systems with fit checks and modifications, Greenheck’s new FumeJet® line is the solution for you. 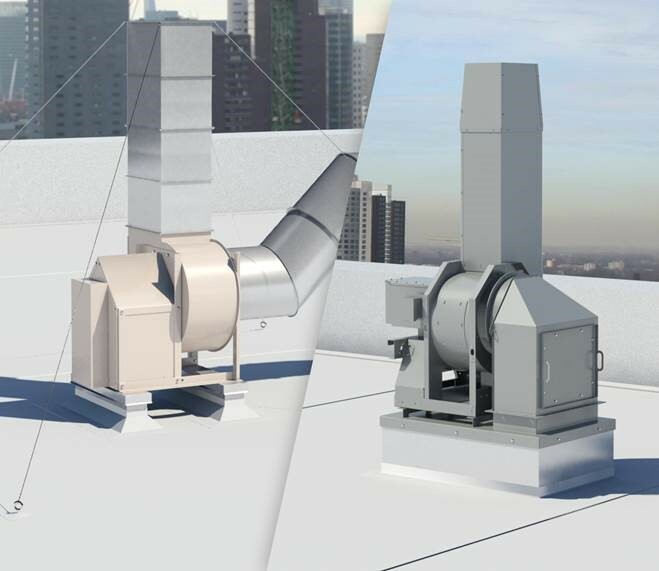 FumeJet makes roof exhaust applications easy by incorporating pre-engineered components featuring: Integral stacks Wind load ratings without guy-wires. And, third party tested performance. The FumeJet is an installation ready, pre-engineered fan/stack assembly with options to add: A tapered discharge nozzle for higher discharge velocities. A field adjustable nozzle to change discharge area and fan performance to as built conditions. 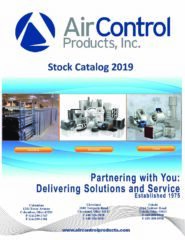 Equipment supports which are sized to fit And, restrained isolators when it is important to isolate the fan from the building Another pre-engineered mounting configuration for even easier installation includes: A curb cap and inlet box for a smaller footprint. A backdraft damper preventing airflow back into the building And, a structural roof curb with duct support and duct drop to simplify installation with the roof deck and building ductwork. In addition to all of this, the pre-engineered FumeJet line also offers a variety of fan construction options to suit all of your commercial and industrial needs. FumeJet - Everything pre-engineered and sized - eliminating fit up issues and make installations easier, saving time and money. Contact ACP today to learn more.